Your vote matters. Your vote is your voice. It’s as simple as that. Voting is a vital way to hold politicians accountable, to tell them how you feel about their policies and performances. It is also a way to remove politicians from office when you are unhappy with their policies and performances. Real change can be brought about through your vote. A single vote can make a difference. 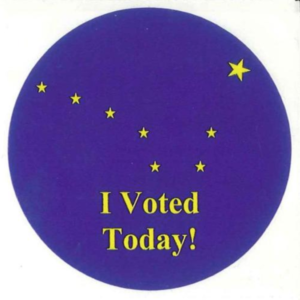 One vote confirmed the purchase of Alaska from Russia in 1867. One vote elected Rutherford B. Hayes to the Presidency in 1876. One vote per precinct gave Harry Truman the presidency in 1948. One vote per precinct would have elected Richard Nixon, rather than John F. Kennedy, President in 1960. George W. Bush won the state of Florida by just 537 votes in 2000, making him President of the United States. S.C. Women in Leadership, in fact, is concerned about gerrymandering and is working to provide information and opportunities about equitable redistricting and voting process/equipment improvement. In the end, though, it is important to make your voice heard. Your vote is your tool of political empowerment –whether you are young or old, whether you are female or male, whether your skin color is white or black or something else. Voting is how democracy works.